2017 was another successful year with continued strong growth for the Swedish biotech company Scandinavian Biopharma. “We can look back on an amazing year. We are very proud to report completion of a large Phase I/II child study in Bangladesh, we were awarded 30 MSEK from Horizon 2020 SME and we kick-started a Phase IIB study on Finnish travellers to Benin in West Africa. We have strengthened our organization and continued to grow our distribution business, “says Björn Sjöstrand, CEO. 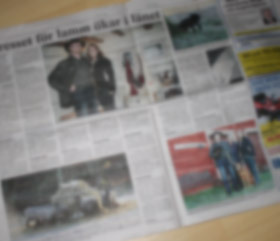 For the distribution business the sales growth landed at 51,3 MSEK (15% growth). At group level the growth was 9 % in 2017 as sales increased from 46,1 MSEK in 2016 to 51,6 MSEK in 2017. During 2017 Scandinavian Biopharma has continues to expand and strengthen its organization with a CFO, a VP Quality Assurance and a VP Business Development and International Sales. Last year our clinical development program has taken important steps forward and five studies have now been conducted in the US, Bangladesh and Sweden with very promising results. In February the last patient was enrolled in a Phase I/II study in Bangladesh where the new ETEC vaccine, Etvax®, was tested for safety and immunogenicity in different age groups down to 6 months young infants. The study included approximately 450 people and shows that the vaccine is safe and triggered an immune responses to all vaccine components in all age groups. In July we started a phase IIB study in Finnish travellers going to Benin in West Africa. Over 400 travellers have already been recruited and visit Benin in this study where safety, analytical methods and the vaccine’s protective effect will be evaluated. “The studies in Bangladesh are essential steps toward showing that our vaccine can protect children in the developing world against ETEC diarrhoea, a disease that causes millions of diarrheal events and several hundred thousand of death’s every year. With the Benin study, we hope to show that the same vaccine is also effective for travellers suffering from a diarrhoea caused by ETEC”, says Björn Sjöstrand, CEO at Scandinavian Biopharma. The distribution activities continued to develop very positively in 2017. New cooperation agreements have been concluded. Sales increased from 44,7 MSEK 2016 to 51,3 MSEK 2017, representing an increase of almost 15 percent. The vaccine candidate ETVAX® is today seen as the most advanced ETEC vaccine. A proof that we are on the right track and that our vaccine is of very high standard is that we are supported by PATH in USA and EU Research and Innovation program Horizon 2020 in Europe. 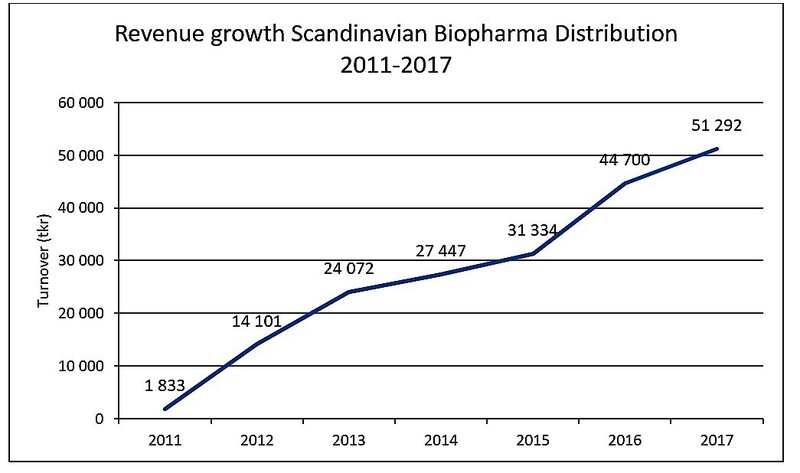 Scandinavian Biopharma business has demonstrated strong organic growth since the company was launched in late 2009 and has been profitable since 2013.